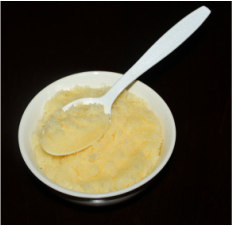 Ghee is clarified butter and widely used in Indian and South Asian food. 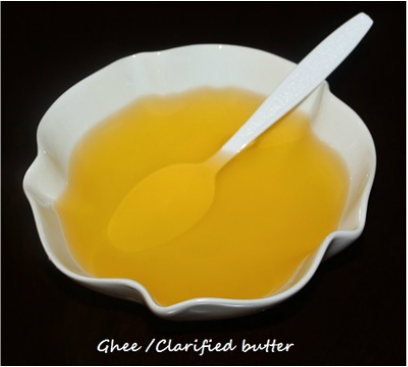 Ghee is a Hindi language word but it has several names around the world. 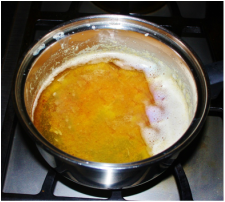 Ghee is not only for culinary use but it is considered sacred and is used in religious rituals and Ayurveda uses ghee as a base for many of its medications. Ghee is flavorful and has a rich, nutty taste. It also has a higher smoke point, so it’s great for sautéing or frying. 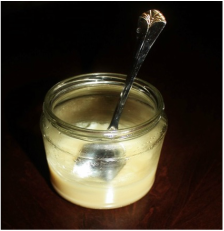 Homemade ghee is aromatic and adds an incomparable richness to any dish. 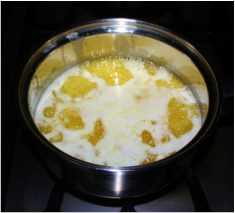 Traditionally, ghee is made from the milk of cows, which are considered sacred. 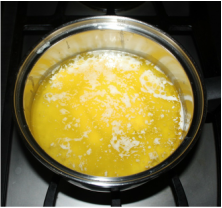 Ghee, although a type of clarified butter which is prepared by boiling butter until the clarified butter is golden and the solids at the bottom are toasted but not burnt then residue is removed by straining the clarified butter. 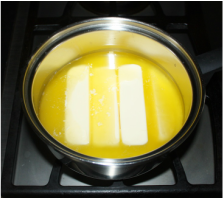 Ghee becomes solidified at lower temperature but can easily be melted. Making ghee at home is easier than you think. 1. Use a heavy bottom stainless steel sauce pan. Make sure it is dry and clean. 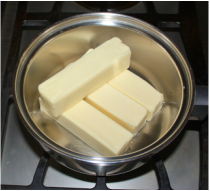 much that butter is jumping out of the pan or spraying on the stove top. layer contains the liquid. The bottom layer is where most of the milk solids are. 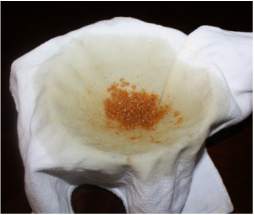 for 25 to 30 minutes or until solids on the bottom of the pan turn light brown. 6. 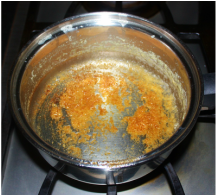 When crackling subsides, this means all the moisture has been cooked away. become dark brown and have a burnt taste. 9. Let the butter cool a while to let more of the solids settle. 11. 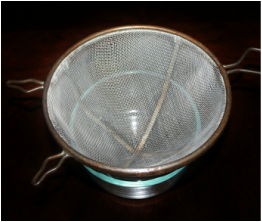 Line the strainer with towel. 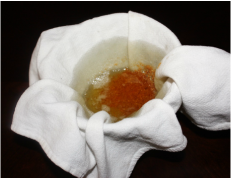 have settle, letting the clarified butter flow into a bowl or a jar. pan, to subside the foam gently stir with a spoon. 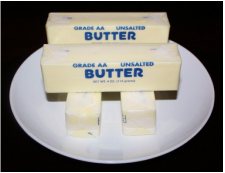 in large quantity then store in the refrigerator. 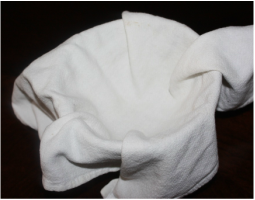 can easily promote bacteria and spoil the ghee.